Did you know our bodies are exposed to hundreds of toxins daily? There are harmful chemicals in the air we breathe, the food we eat, and the products that we use on our skin and hair. If you aren’t feeling your best lately and have been struggling with fatigue and sluggishness, your body may benefit from a detox. There are several options out there for people who are interested in helping their body heal by removing harmful chemicals from their system. Here are four great ways to detoxify and feel better. Juicing is one of the most popular and delicious ways to detoxify your body. The idea behind a juice cleanse is that by consuming only fresh fruits and vegetables, you are helping your body remove all of the harmful chemicals that you’re exposed to daily. This process happens because you’re flooding your system with essential nutrients. There are a number of different ways to do a juice cleanse, depending on your comfort level. Typically, when you do a juice cleanse, you can expect to head to the bathroom frequently throughout the day as your body goes through the detoxification process. For this reason, many people opt for a weekend long cleanse, so that they can detoxify their bodies in the comfort of their own homes. Water fasting is a method that has been practiced since ancient times. The process involves drinking only water for a certain number of days. Again, the duration is based on your comfort level. Frequently, those who water fast do so for one day every week. This method is most effective if you can spend the day resting rather than participating in daily activities, so many opt to water fast on a weekend day. While water fasting can be a highly effective way to detoxify, it’s also important to research before you decide to go forward with this method. You need to make sure you are in good health and understand the process before you begin. One of the simplest ways to detoxify your body is to eliminate chemicals from your daily routine. Harmful chemicals are in most cleansers, shampoos and conditioners, deodorants, skincare and hair care products. It’s also common for people to consume them in their daily diet. For example, if you’re a daily coffee drinker, choose water or fresh juice instead. Or if your diet is high in saturated fat, take a look at the nutritional content of foods and opt for a healthier alternative. Eliminating chemicals can help your body heal more efficiently over the long term. Colon cleansing not only eliminates toxins from your body, it also helps reduce your risk of life threatening conditions like colon cancer. There are a number of different ways to do a colon cleanse, from consuming natural supplements to using home colon cleanse kits specially designed to work quickly and effectively. Natural colon cleansing can also help promote weight loss and make you feel healthier overall. We all feel a little unpleasant from time to time, but if you are having symptoms such as chronic fatigue and discomfort, you may benefit from a detox. 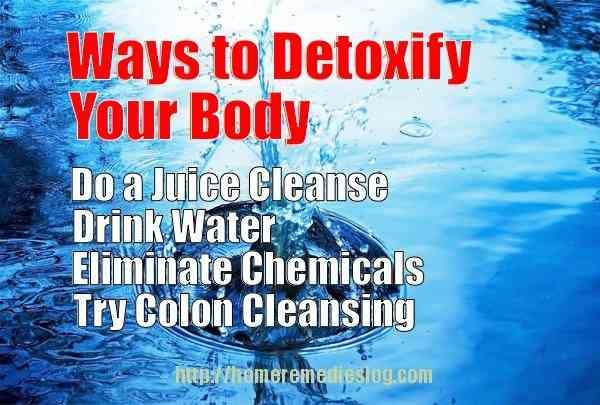 Detoxing can help promote healing by removing harmful chemicals from your body. But before you begin, make sure you spend some time researching the different options in order to make the right decision for your health! 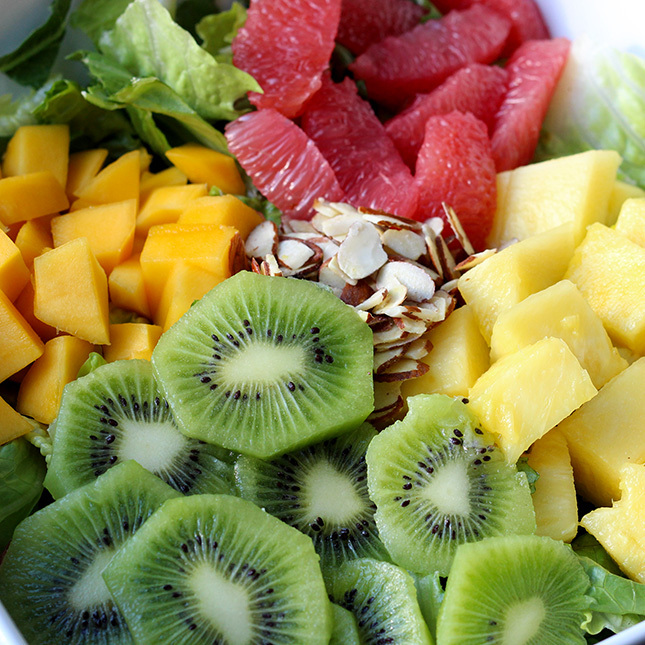 Here’s another great way to detox your body! 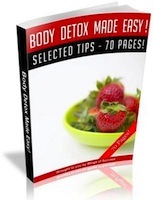 Get Help With Your Detox With This! CLICK THE BOTTLE TO LEARN MORE! About the Author: Jennifer Klaus is a writer who covers topics related to alternative medicine, health, and yoga. 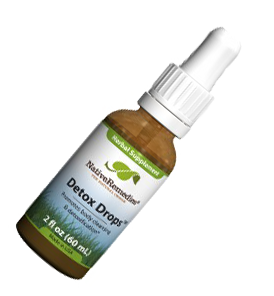 She detoxifies her body with home colon cleanse and by using all-natural products free of harmful chemicals. Enroll in our weekly home remedies email list and obtain home therapy plus natural health condition pdfs such as this one delivered to your inbox weekly completely free!. 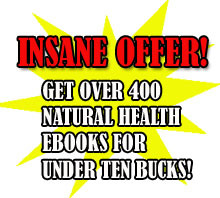 Supposing that you invest in my own personal book, “The Big Book of Home Remedies” you are going to furthermore acquire immediate entry for our exclusive members area and that allows you to obtain all of our four hundred and fifteen plus professional health condition pdfs absolutely free. thanks so much. it’s very informative.